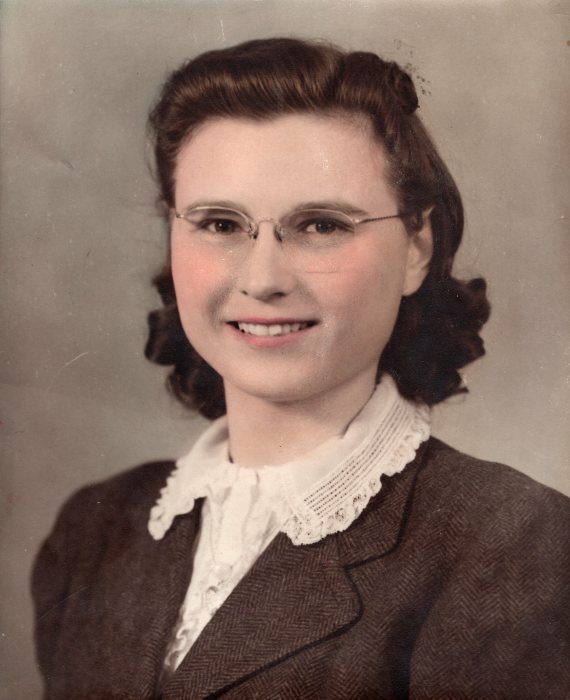 Ina Mae Skadburg, the daughter of Arthur and Clara (Tuttle) Spangler was born on December 5, 1924 at Eagle Grove, Iowa. She graduated from Eagle Grove Community Schools in 1942. 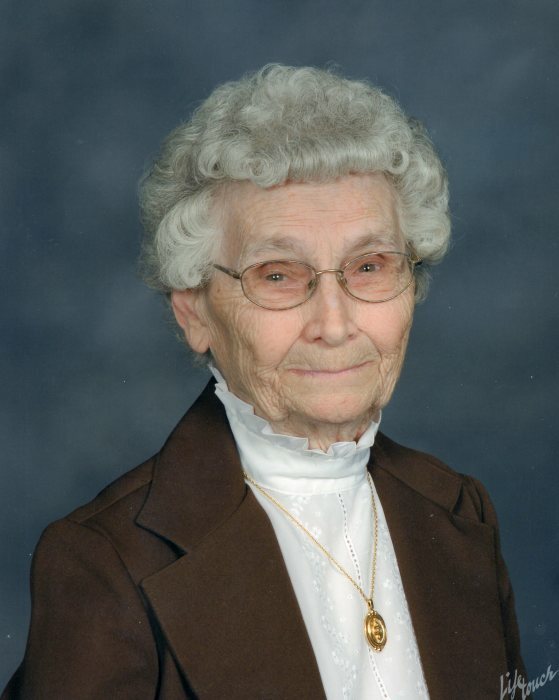 Ina Mae was a lifelong member of Eagle Grove Evangelical Lutheran Church and Holmes Lutheran Church. Ina Mae was united in marriage to Percy Skadburg on February 14, 1946 at Eagle Grove. She and Percy farmed in Lake and Dayton Townships in Wright County from 1946-1981 when they moved to their home on West Broadway in Eagle Grove. Percy passed away in 2002. In 2013 she moved to a duplex on Stockdale St in Eagle Grove. Ina Mae served as a teacher in rural Wright County schools in Liberty and Dayton Townships from 1942-1946. She also worked as a secretary for Asgrow in Clarion for 7 ½ years and worked for Erickson Manufacturing for five years. She enjoyed camping, cooking, quilting, cross word puzzles, and puzzles, but most of all, she enjoyed spending time with her family. Survivors include her sons, Norman and wife, Erma of Fort Collins, CO, and Byron and wife, Cathy of Forsythe, MO; brothers Jack (Angie) and Abe Spangler of Eagle Grove and sister, Dorothy Buss of Mason City; nephew, Ron (Linda) Spangler of Eagle Grove; grandchildren, Julie (Ted) Willis, Dallas Skadburg, Jill (Mike) Farmer, and Rachel (Andrew) Steenbock: and great grandchildren, Grace and Ben Willis. Braden and Addy Steenbock, and Makena and Elsa Farmer and many other nephews, nieces, cousins, and friends. Ina Mae passed away on Sunday, April 14, 2019 at Rotary Senior Living in Eagle Grove at the age of 94 years. Preceding her in death were her parents; her husband; son, Duane Skadburg; brothers, Carroll Spangler, Arthur Spangler, Jr, and Kermit Spangler; and sisters, Clarice Carlson and Emma Jean Bloxham. Funeral services will be held on Thursday, April 18, 10:30 a.m. at Evangelical Lutheran Church in Eagle Grove with Pastor Jason Cooper officiating. Visitation will be Wednesday from 5 to 7 p.m. at Foust Funeral Home 1115 SW 2nd Street Eagle Grove – New Location. Burial in Holmes Lutheran Cemetery, Holmes. Memorials may be left to the discretion of the family.